We parked up near Moorahill Farm just above the village of Bampton and headed off towards the slab bridge over Cawdale Beck. 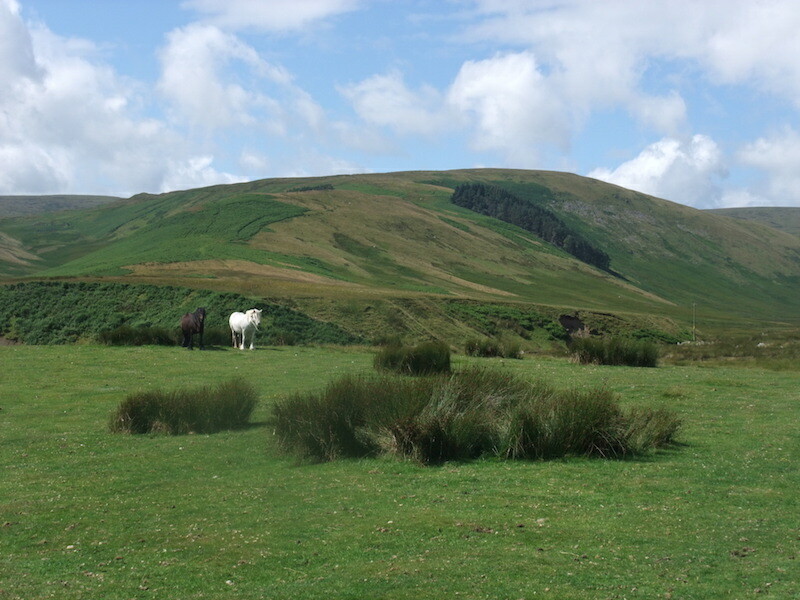 We thought the two horses over there would start walking towards us, or away from us, as they usually do, but no, they just stood there apparently watching us. Behaviour which we thought was a little odd. It soon became apparent why they were so immobile, they were having a morning nap. We walked right up to them, I took this photo and even the click of the camera shutter didn’t disturb them. They made no movement whatsoever and were still in the same position when we looked back after we had walked some distance away from them. 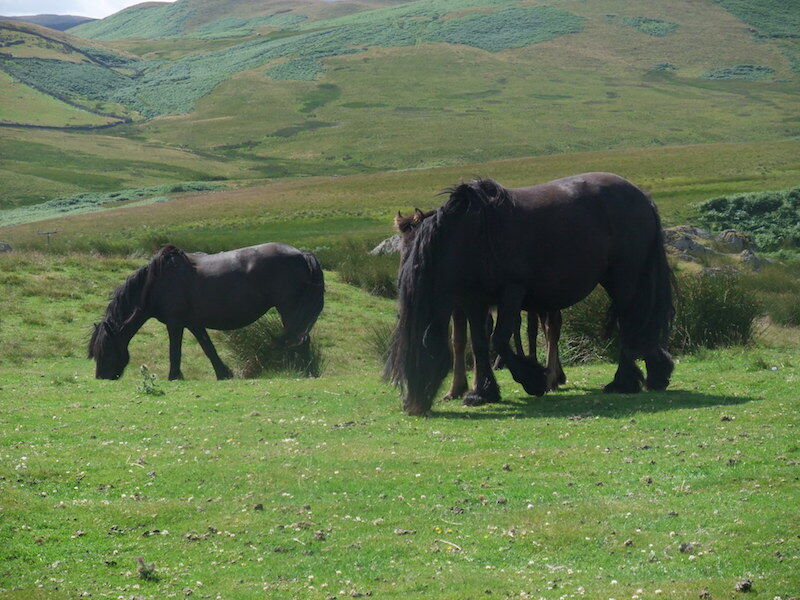 Other members of the herd were too busy eating to pay us much attention, this lot never even looked up as we passed by. 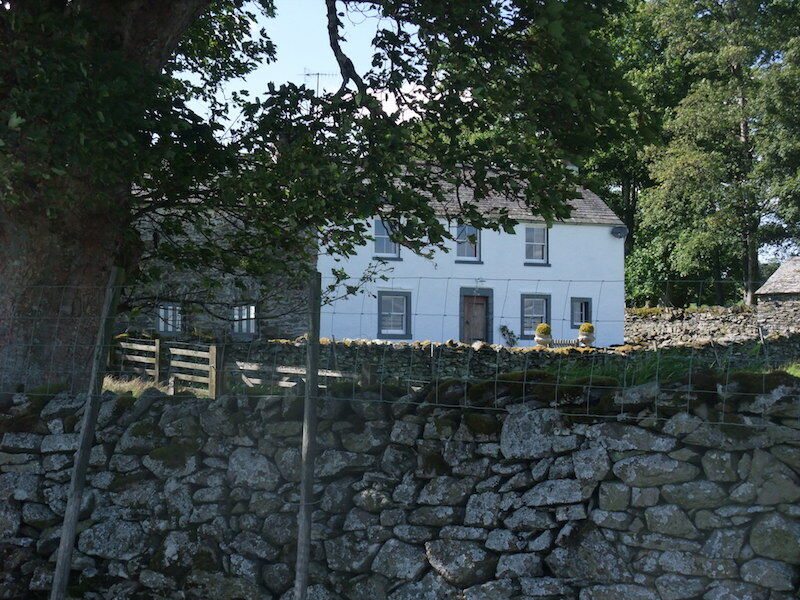 Over there is Moorahill Farm, the tarmac road ends at the farm so its our start and finish point today. 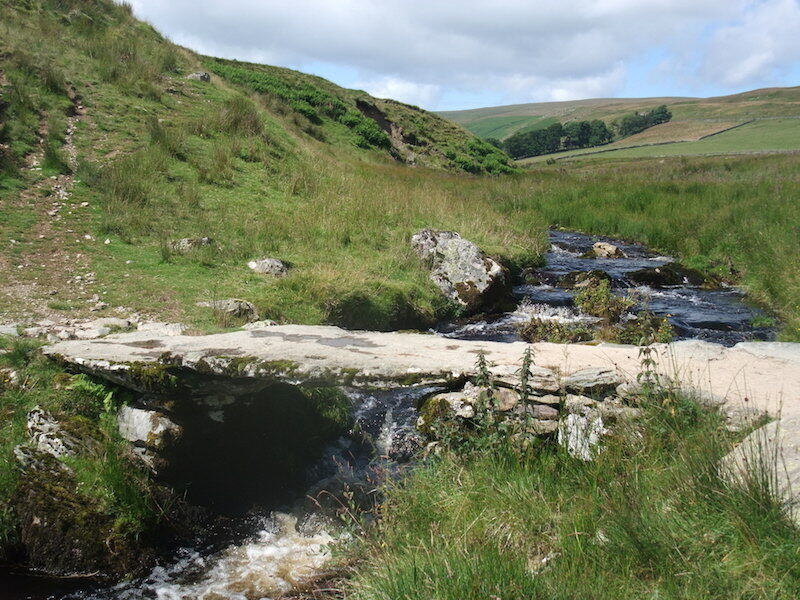 An old slab bridge across Cawdale Beck, also known as a clapper bridge. 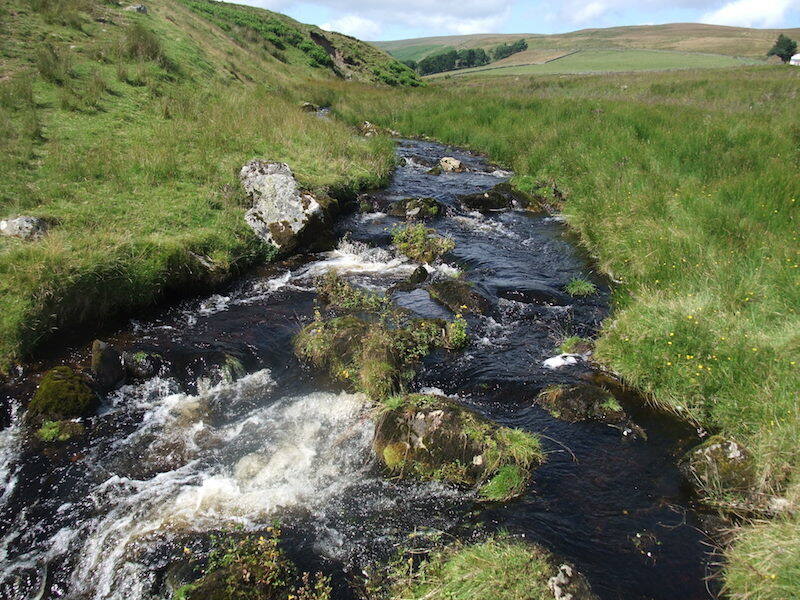 There was a lot of rain last night so Cawdale Beck has plenty of water in it today. A look back at the bridge as we climb up Towtop. On Towtop looking into Cawdale. Onwards we go, now heading for Hause End. It looks like there’s a fair bit of bracken up there. 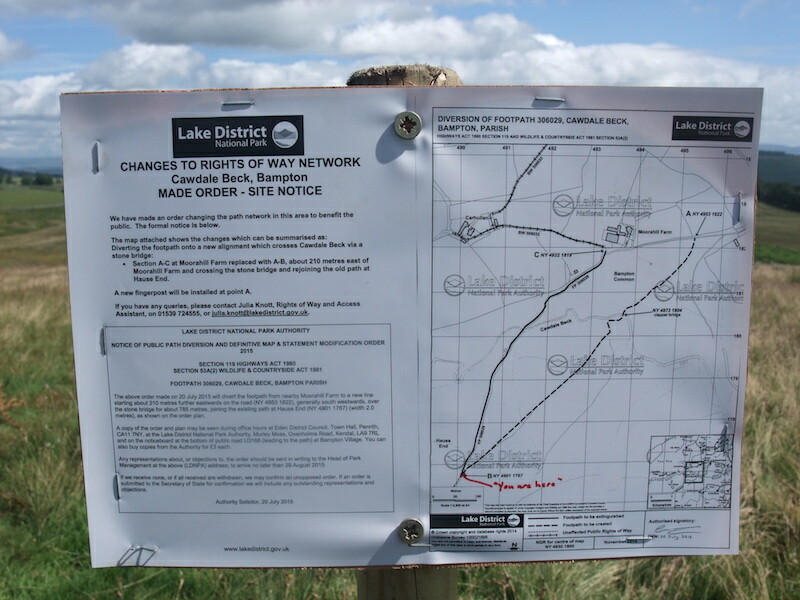 Notice at Hause End from the Park Authority directing walkers to the slab bridge in order to avoid the ford over the beck. 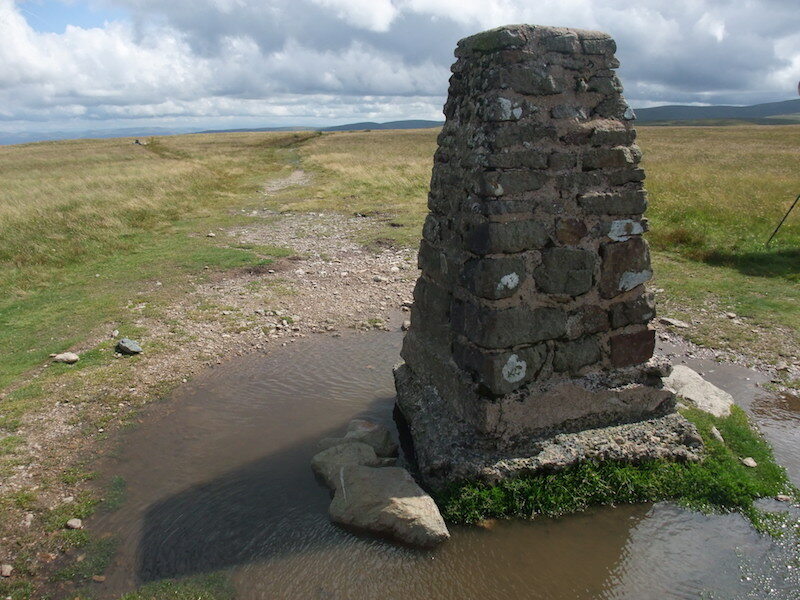 We have walked up the right hand path marked on the plan, so now you know where we are and where we came from. 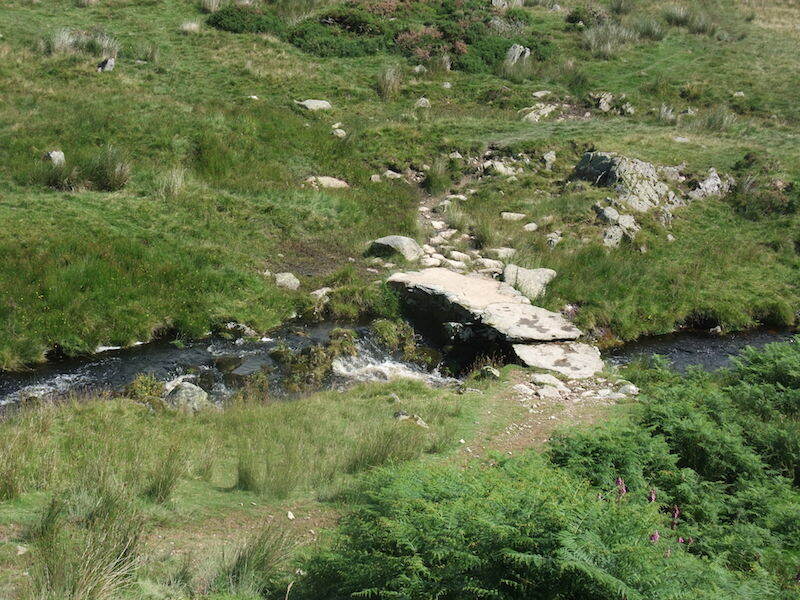 Beside the notice the signpost pointing walkers in the right direction for the clapper bridge. 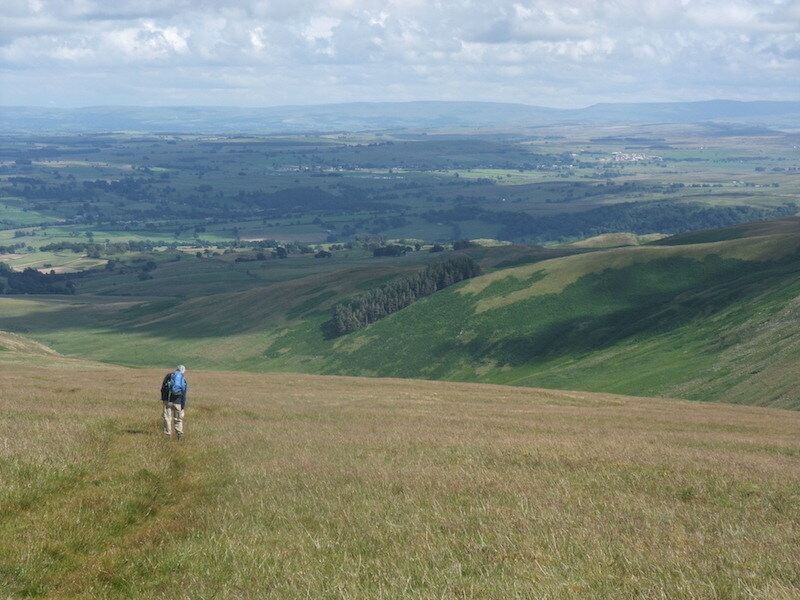 A look back over our route so far, with a view of the Pennines in the far distance. 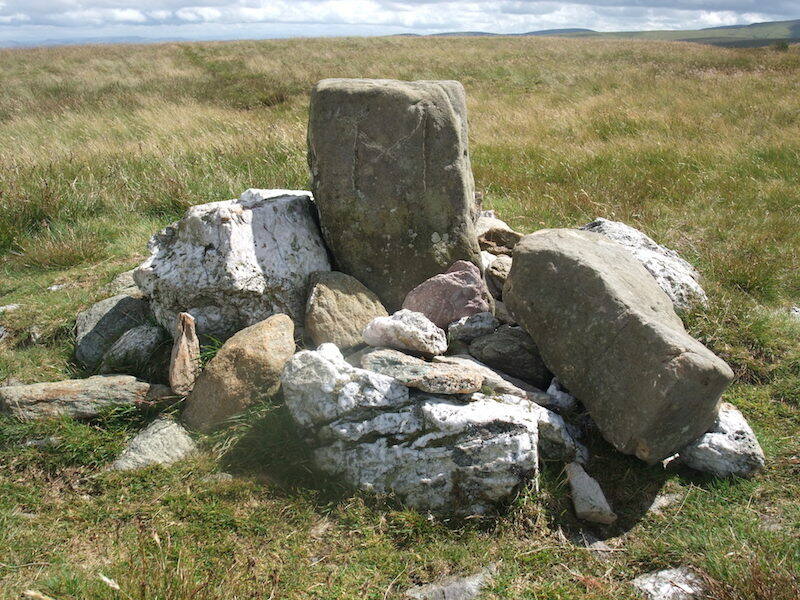 A pile of stones, its marked on the OS map, and indicates the way to Low Kop. How long has it been there, who put it there? 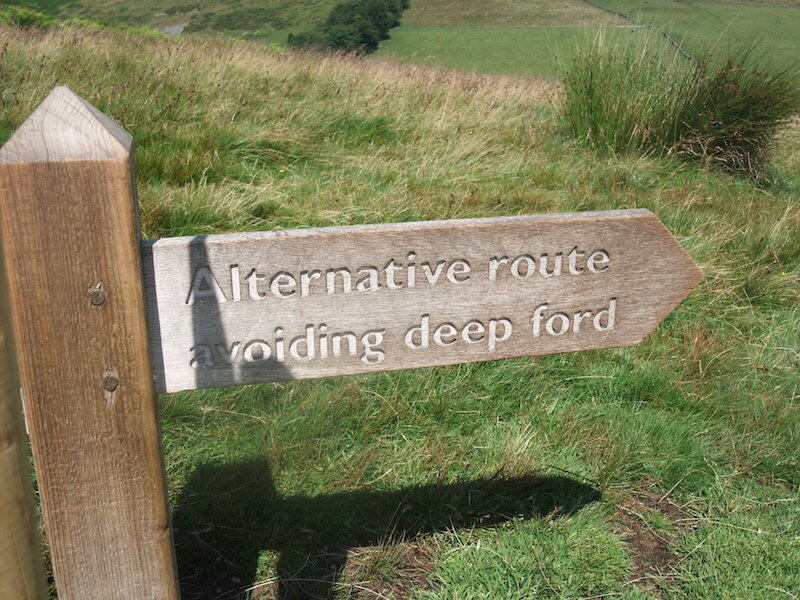 Who knows, but such indicators are useful in finding your way over such huge expanses of largely featureless moorland. 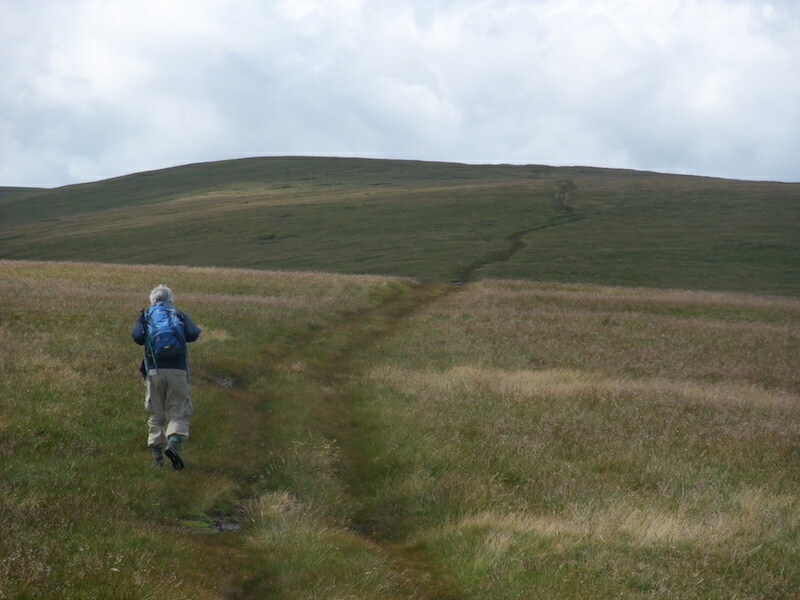 In the groove and heading for High Kop. This groove is another useful indicator of where you are, every little helps, as they say. 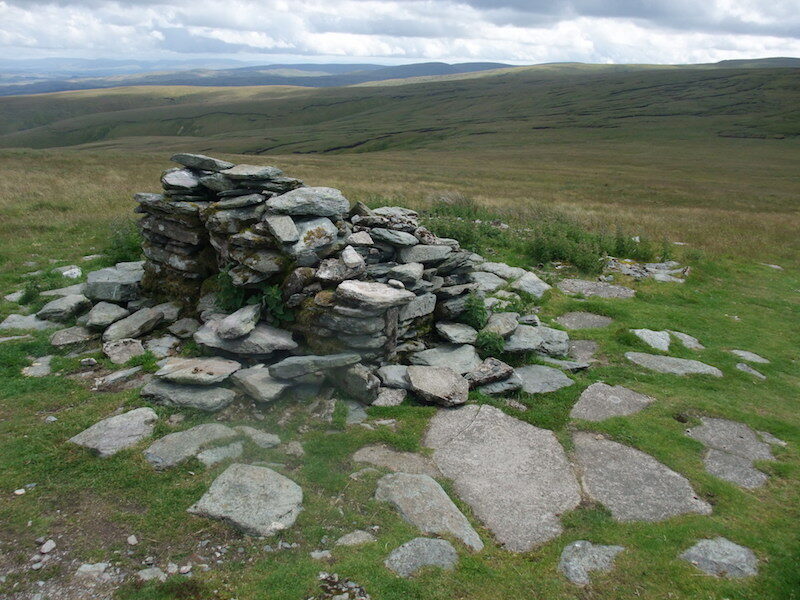 If you want a bit of peace and quiet this is the place to be, its not exactly crowded is it? 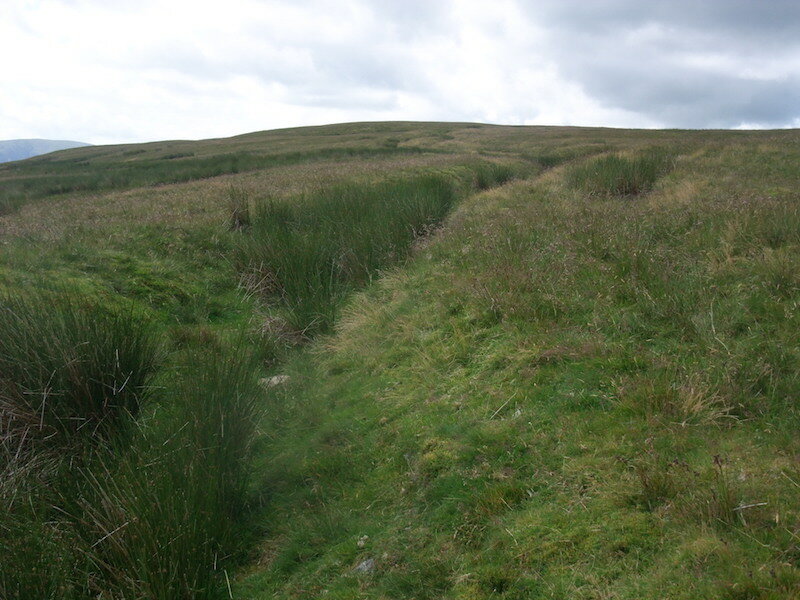 I think the track is more the result of wheels rather than feet but its handy to follow as it keeps you out of the long, and in today’s case, wet grass. 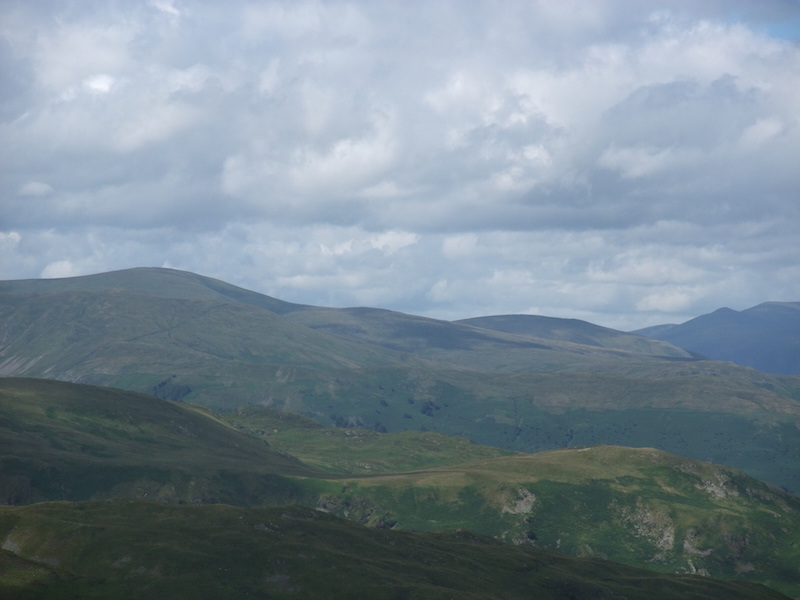 On the skyline to the right is the flat top of Harter Fell, the Mardale one. 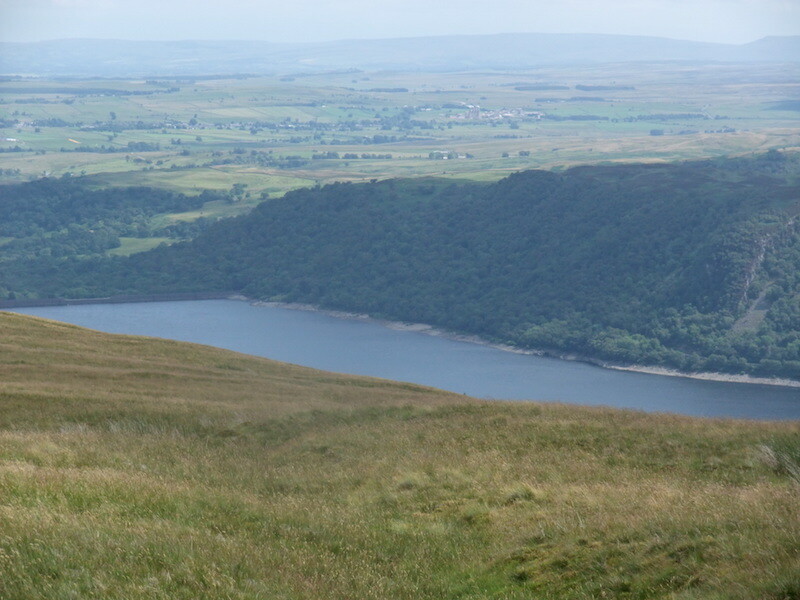 A look back down at Haweswater now we have the height to see it. 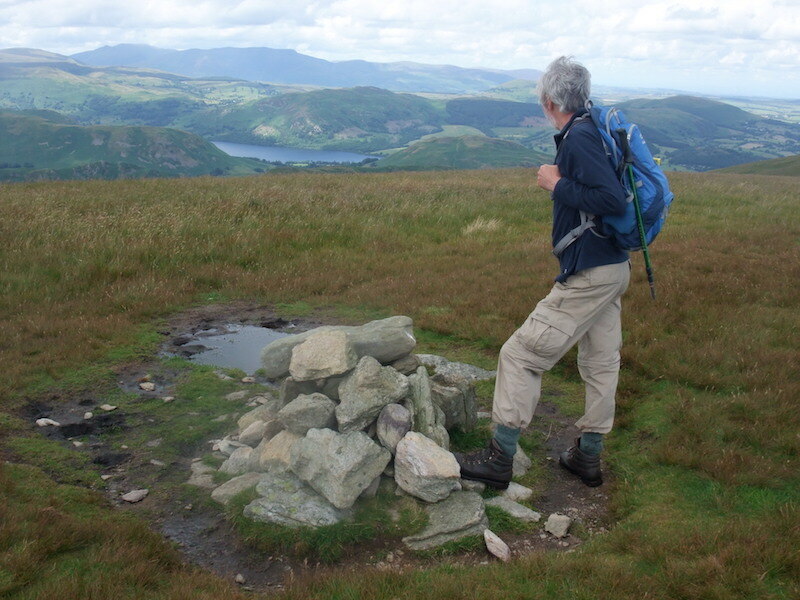 The area we are walking in today is right at the far eastern edge of the Lake District National Park and as you can see, beyond here there is no more high ground until you reach the Pennines over there on the horizon. 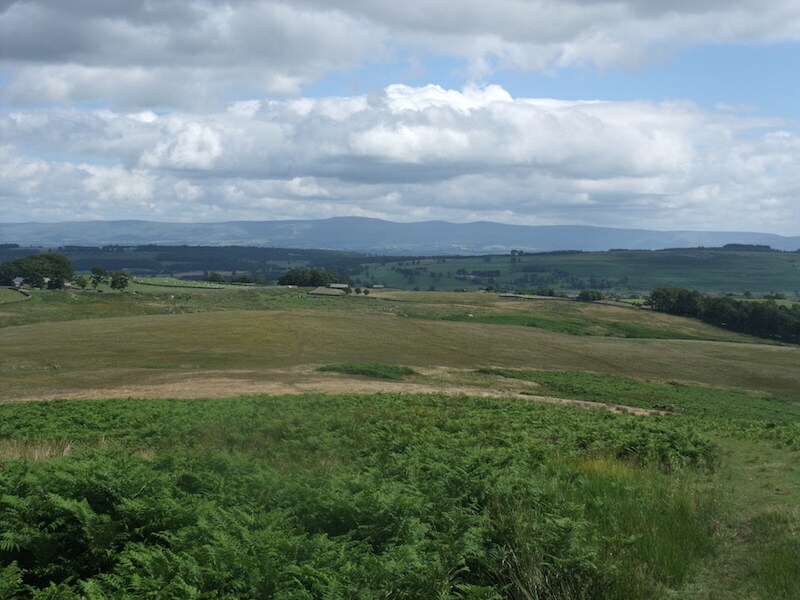 The flat area in between is the Eden Valley. 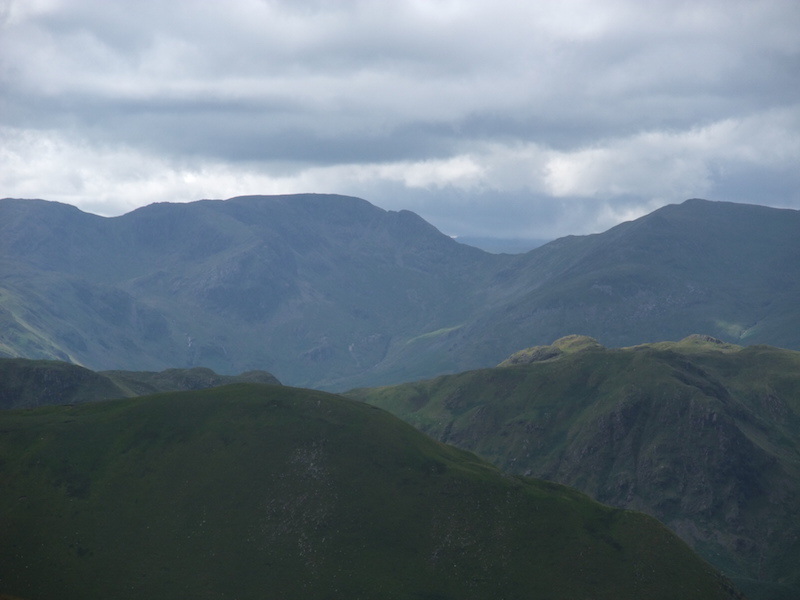 We eventually reach Keasgill Head which gives us views of the fells to the west of us. 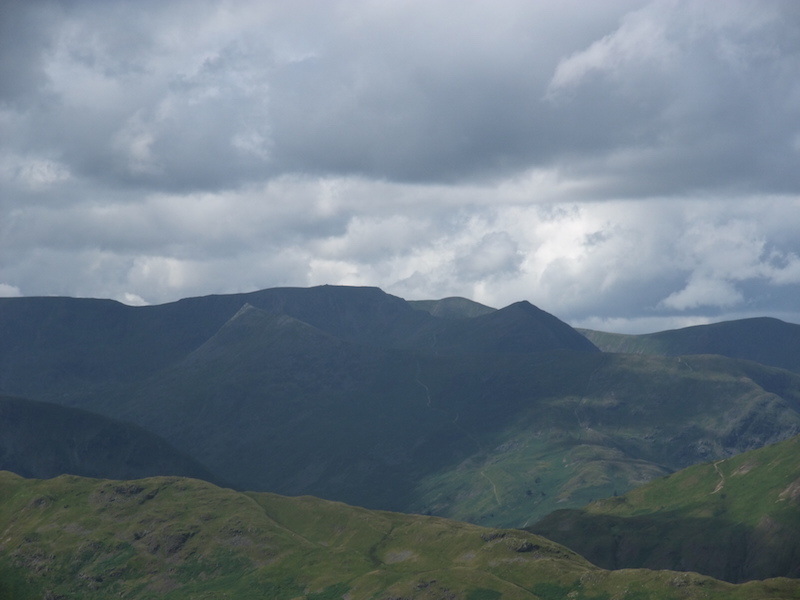 The flat top of Fairfield is in the centre and on the right is Saint Sunday Crag. Angle Tarn Pikes just catching some sun towards the bottom right. 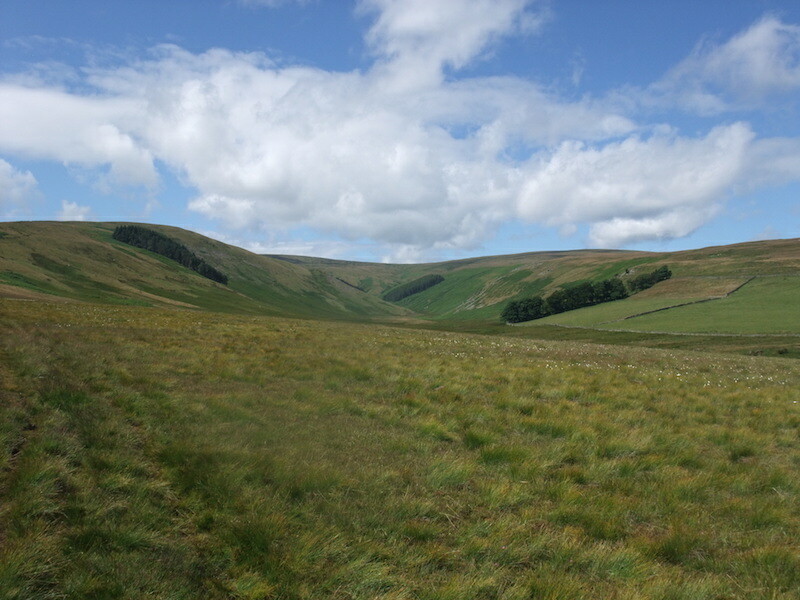 I’m always intrigued at the dramatic change in the landscape and wonder how the rolling moorland that we’ve just been walking can turn so abruptly into this. Maybe I didn’t listen hard enough at school. Perhaps if I knew the answer some of the wonder of it all would be lost, so maybe in this case, ignorance is bliss! 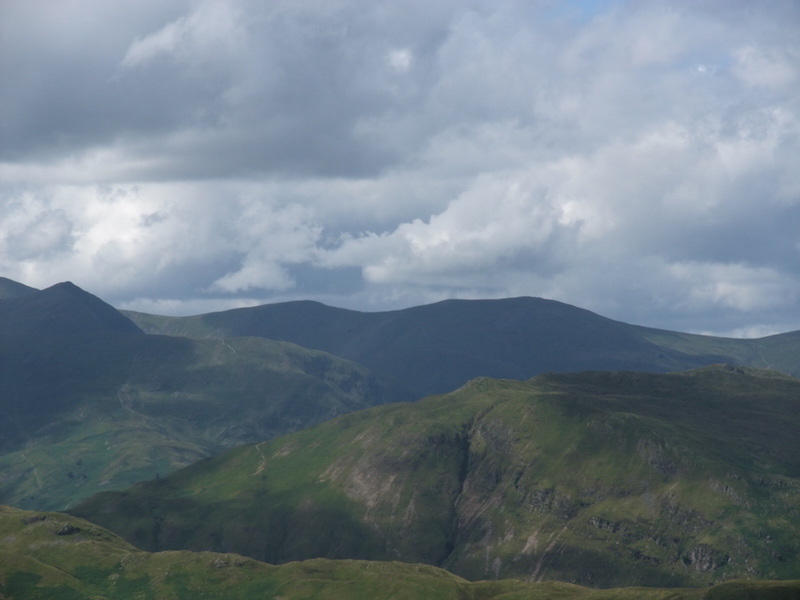 Unfortunately we didn’t have a shilling for the meter so its all a bit hard to distinguish since the light went out, but on the skyline from left to right are Dollywagon Pike, Nethermost Pike and part of Helvellyn, Below and in sunshine is Beda Fell. 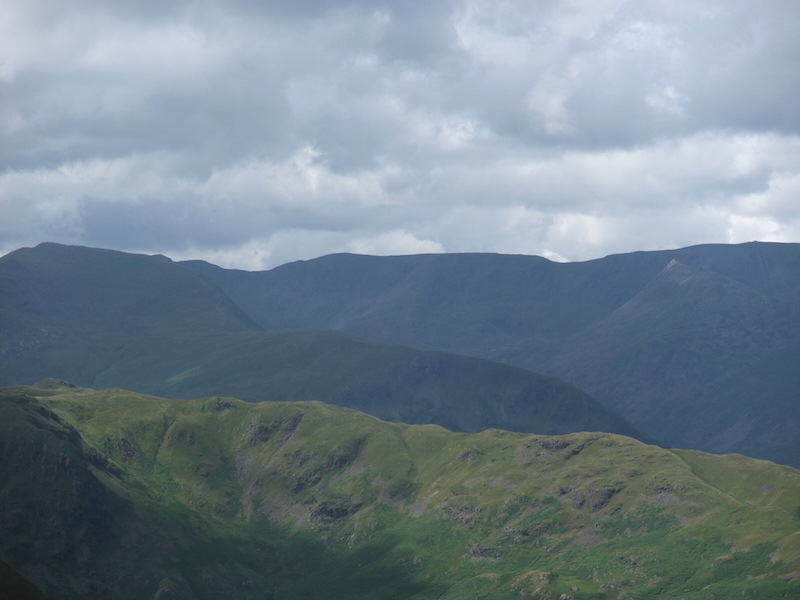 I turned a little to my right and now the plateau of Helvellyn is the highest point on the skyline with the pointed peak of Catstycam to the right of it, with Raise between them. 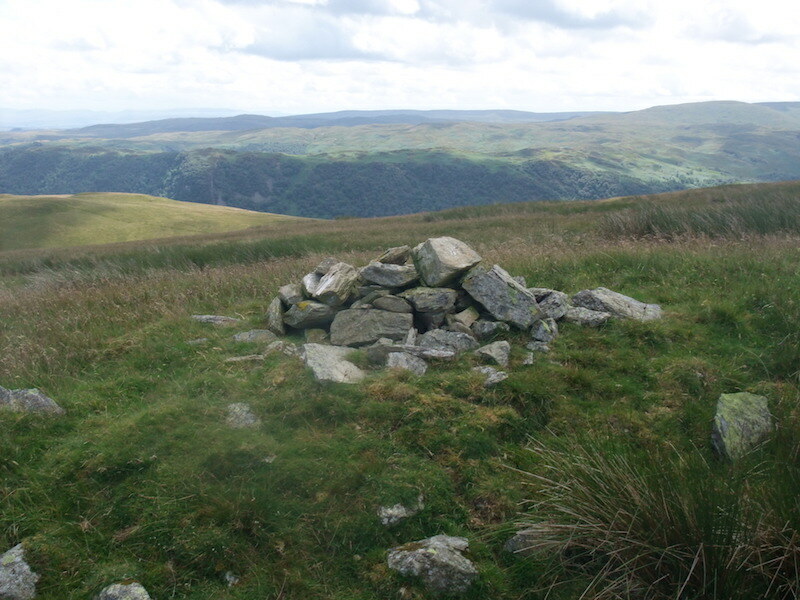 Over on the right skyline is Stybarrow Dodd. 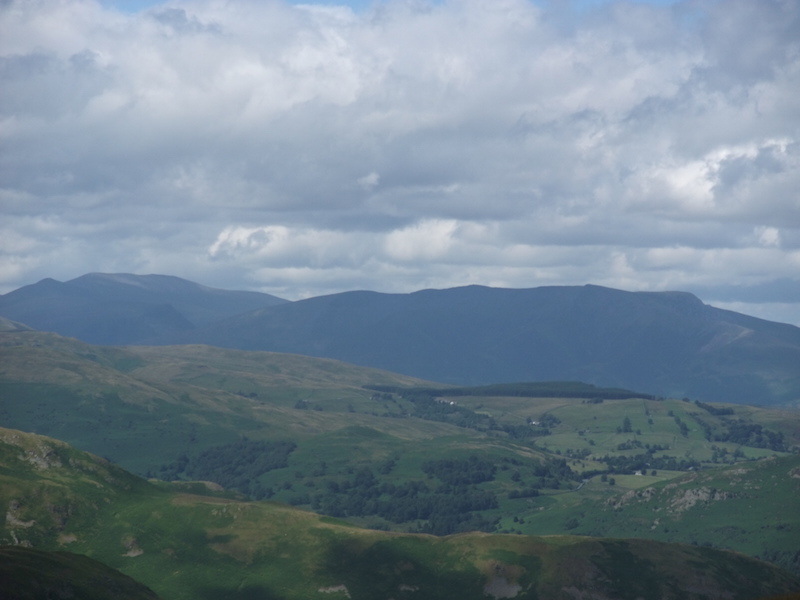 A little further to my right and now we are looking over Place Fell to the Dodds range. 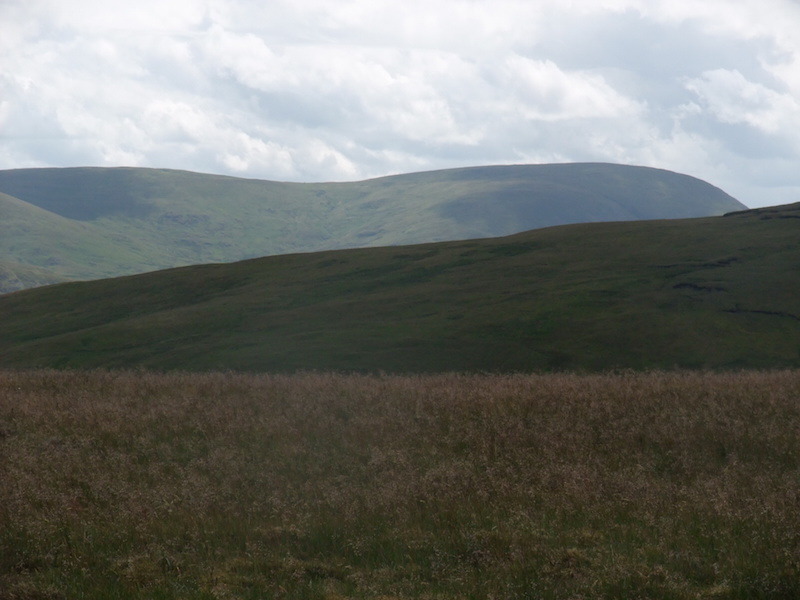 Further to my right still and on the left skyline is Stybarrow Dodd and over on the right is Great Dodd. 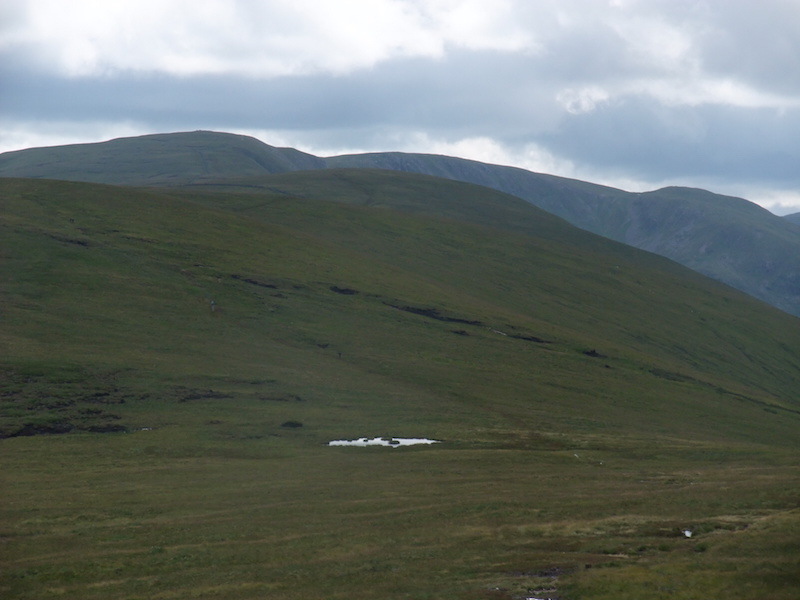 On the left is Great Dodd leading across to Clough Head and the beginning of the Skiddaw range on the far right. 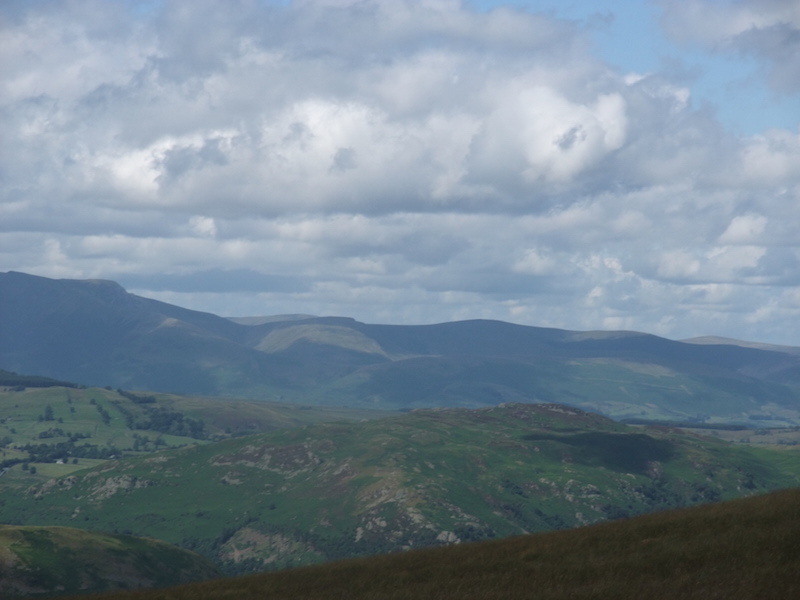 On the left skyline is the Skiddaw massif and over on the right is Blencathra. 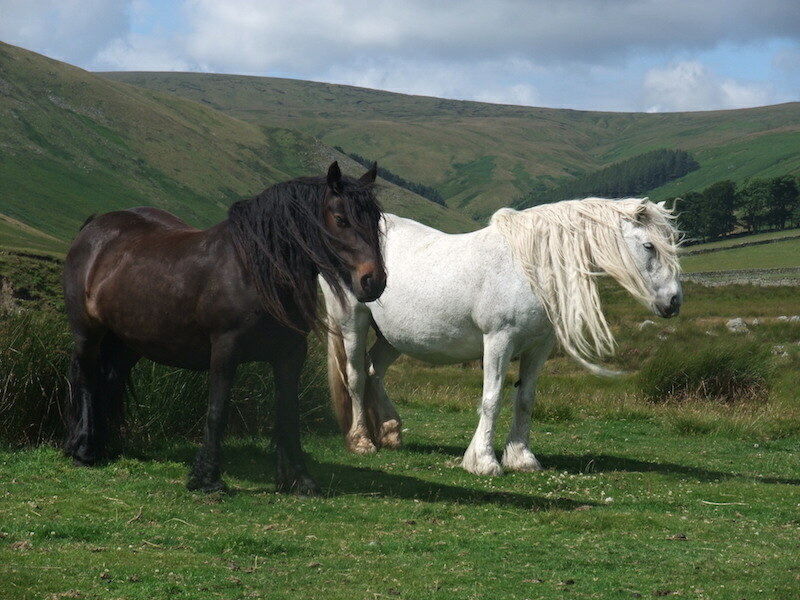 These two together with all the fells beyond them are in the northern fells category. 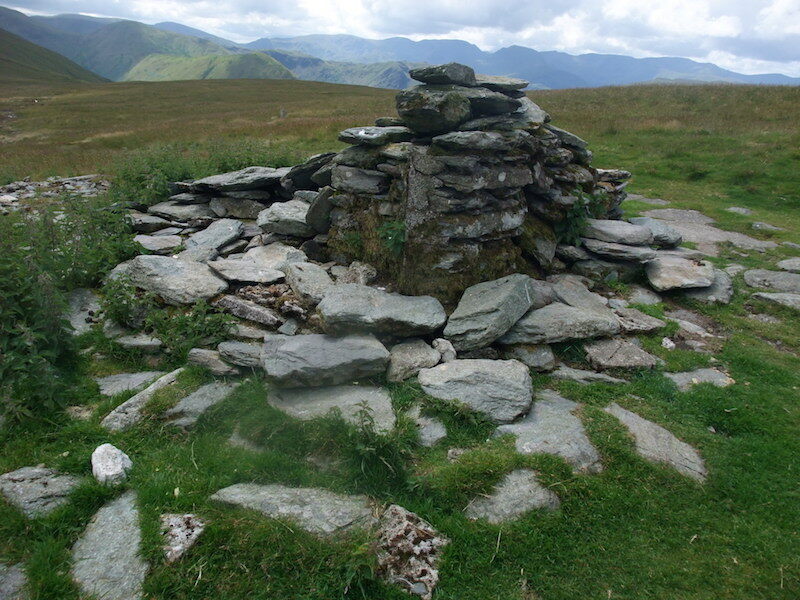 Blencathra is now over on the left with more of the northern fells to the right of it. 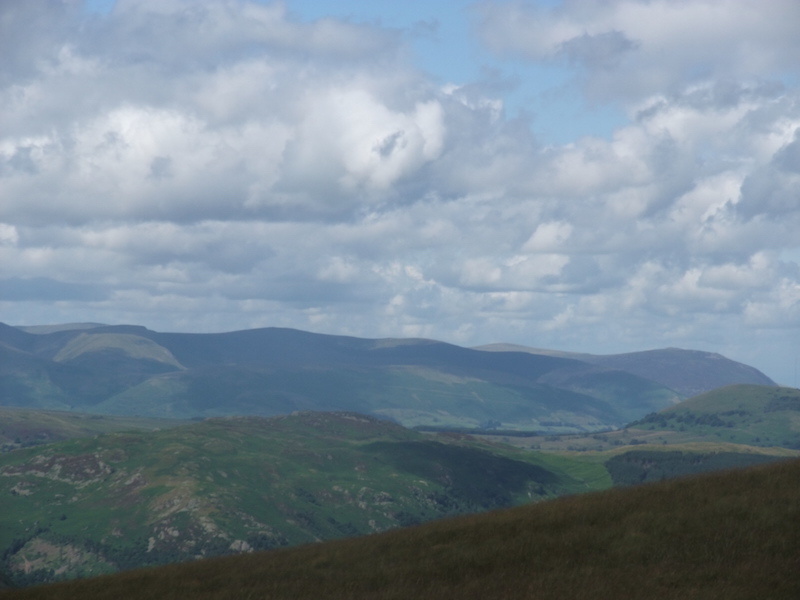 Looking towards the easterly end of the northern fells with Carrock Fell in shade on the right skyline and to the left of it and in the sunshine is High Pike. 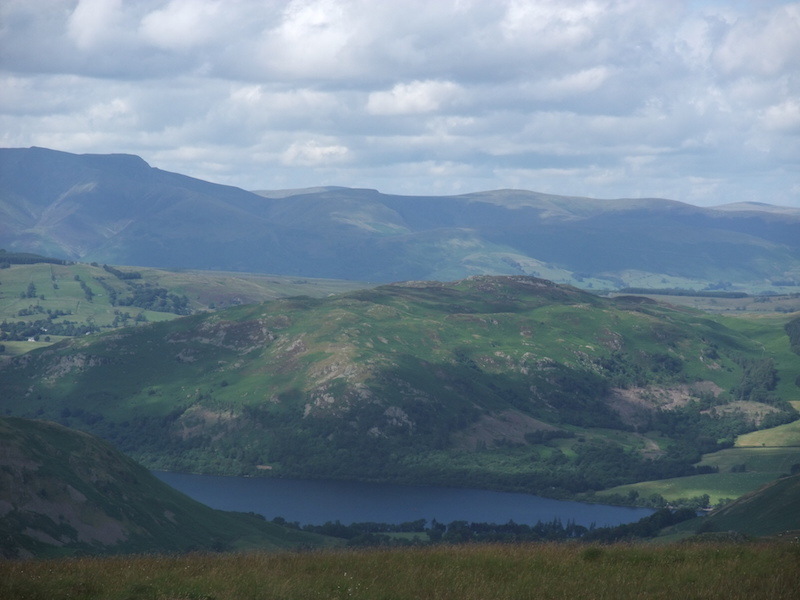 Part of Ullswater down below us with Gowbarrow Fell immediately behind. 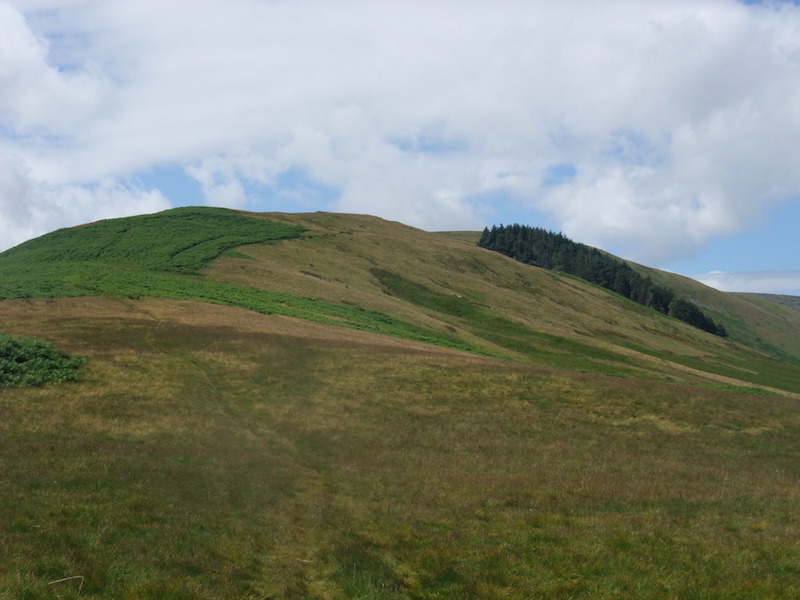 If you take a line from bottom to top straight up the centre from where I’m standing firstly you have Steel Knotts, then Hallin Fell, behind Hallin Fell are the wooded slopes of Swinburn Park, then Great Mell Fell and lastly Carrock Fell. 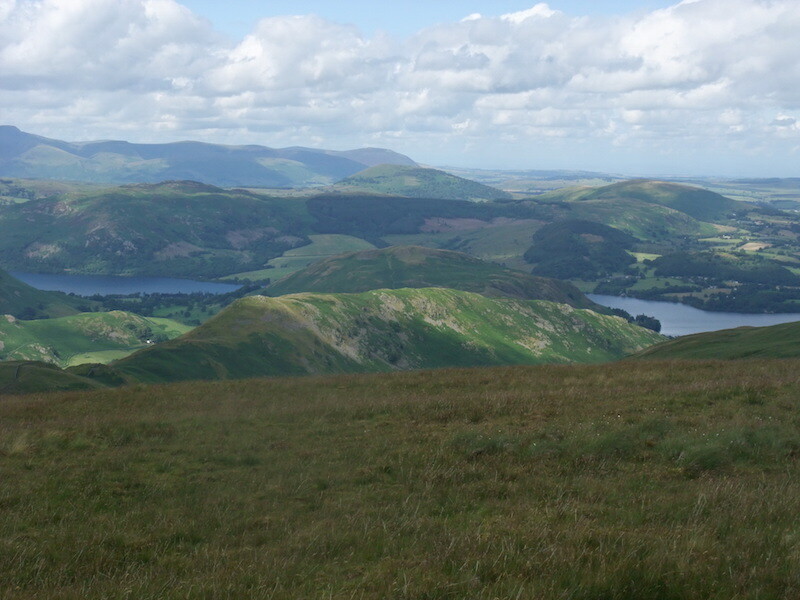 Looking over Ullswater from Wether Hill summit. Not to be confused with “weather” and “whether”, a wether is a ram or billy goat which was castrated when young. I have no idea of the connection, if any, between that procedure and this fell. 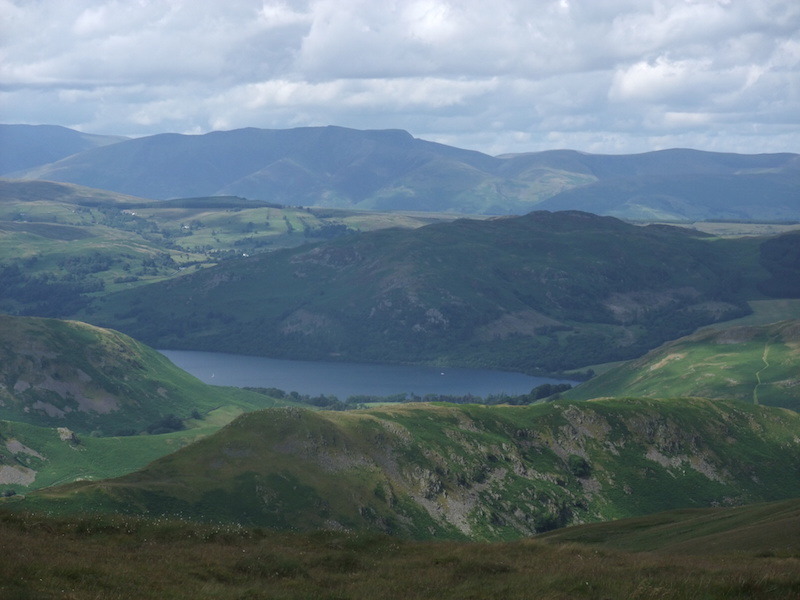 Moving swiftly on, there’s Blencathra on the skyline with Ullswater down below. 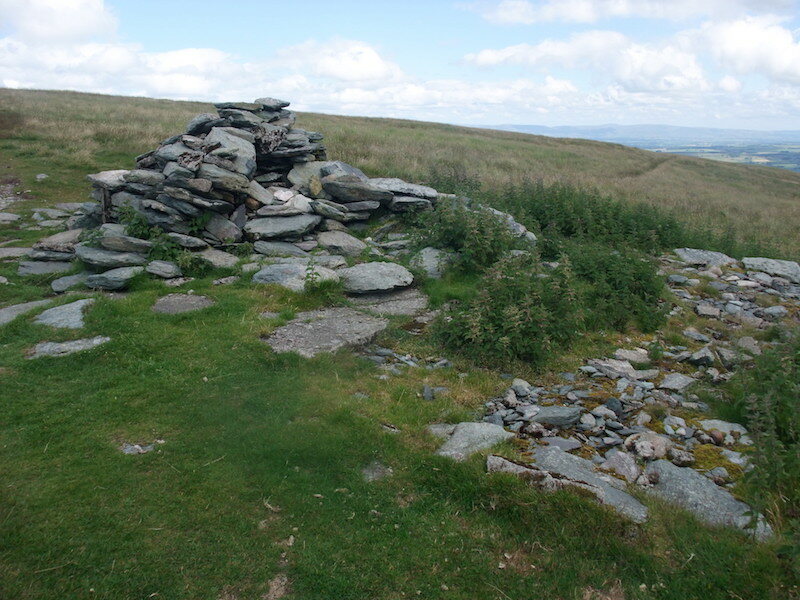 We’re now making our way along to Loadpot Hill. 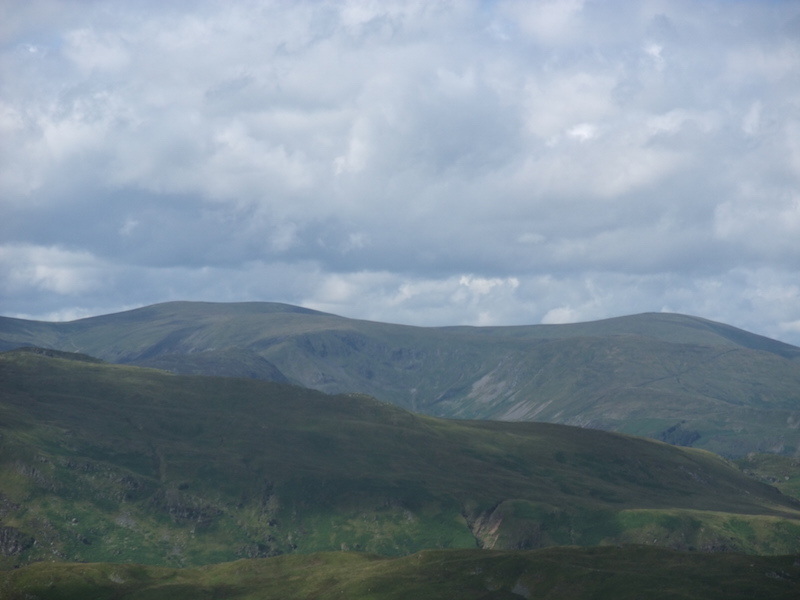 In the middle foreground is the dark mass of Rest Dodd, on the left, leading down to The Nab on the right. 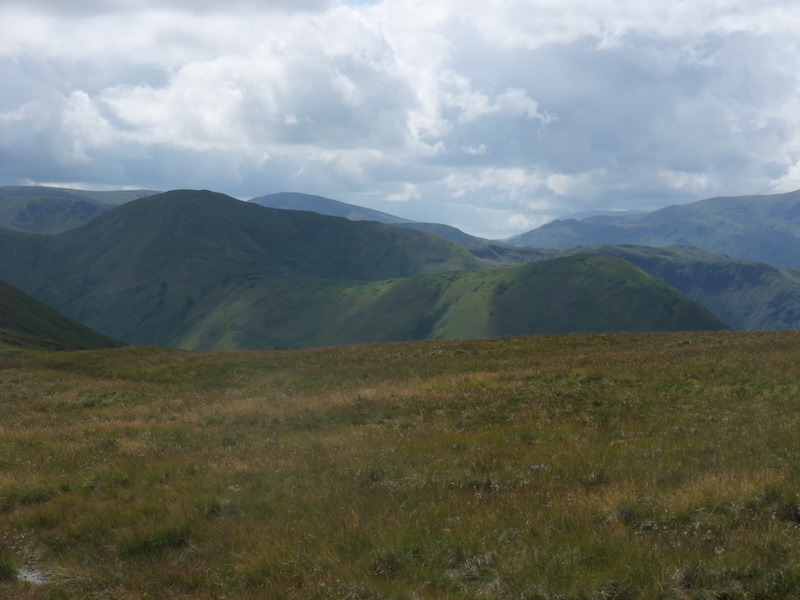 Looking back at the route from Wether Hill on the way to Loadpot Hill. 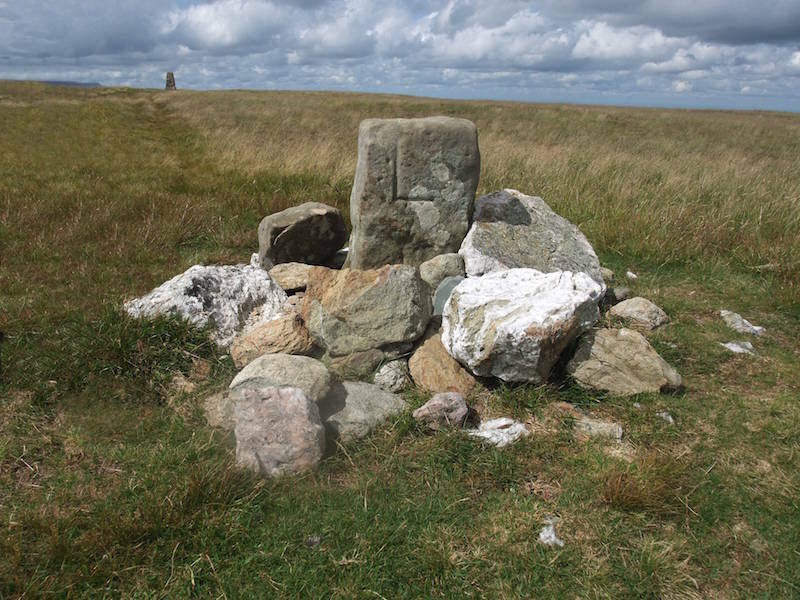 The remains of Lowther House, a former shooting lodge on the Lowther estate, with a couple of shots of it from different aspects …..
An estate boundary stone, this side is Lowther land, hence the L …..
….. and the other side of the boundary stone, marked with an M for Marshall. Territorial weren’t they? 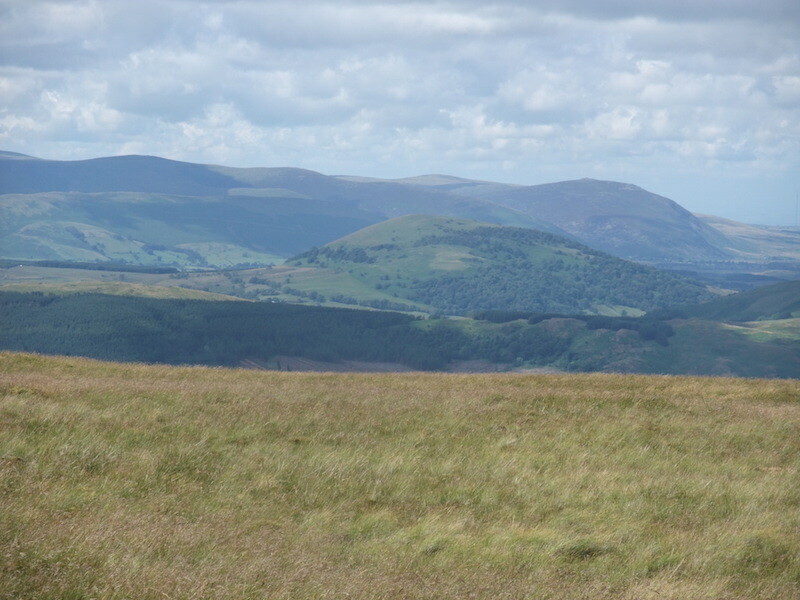 On Loadpot Hill and looking over Great Mell Fell to some of the northern fells. 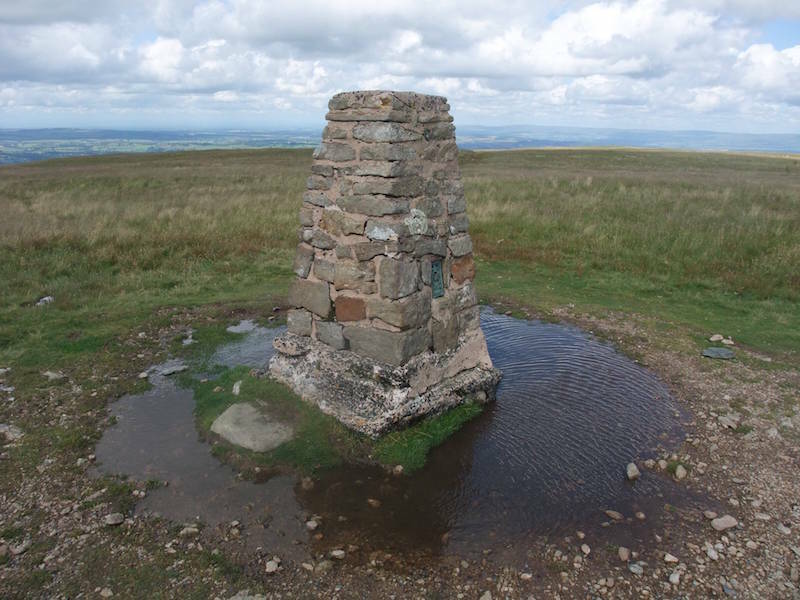 The trig column on Loadpot summit, its still windy as you can see from the ripples on the puddle. From the trig point a look back at the path we’ve just walked along. 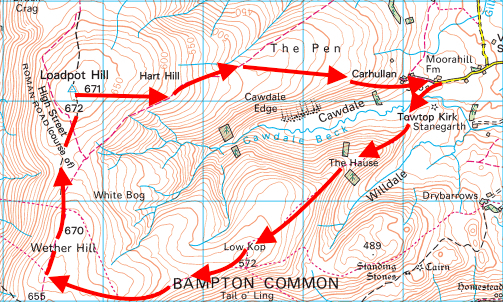 Moving down towards The Pen from Loadpot Hill. 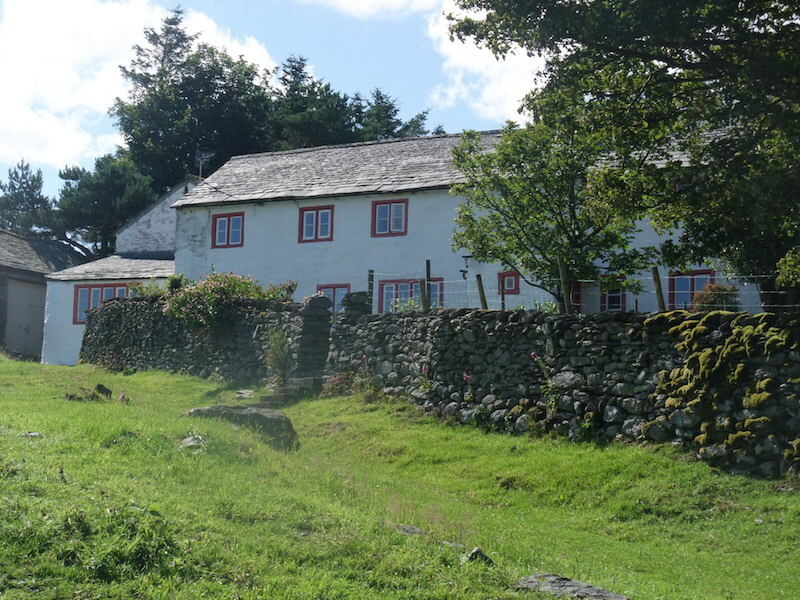 Carhullan – a holiday let, sleeps 10. If you want to know how much a quick search will tell you, make sure you’re sitting down. 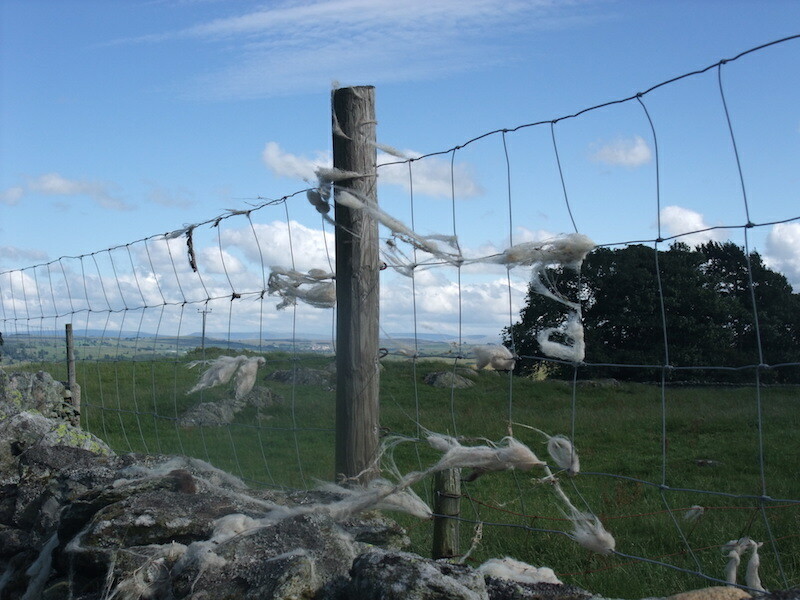 The clouds may have thinned out a little but it was still very windy, as demonstrated by the wool on the fence. 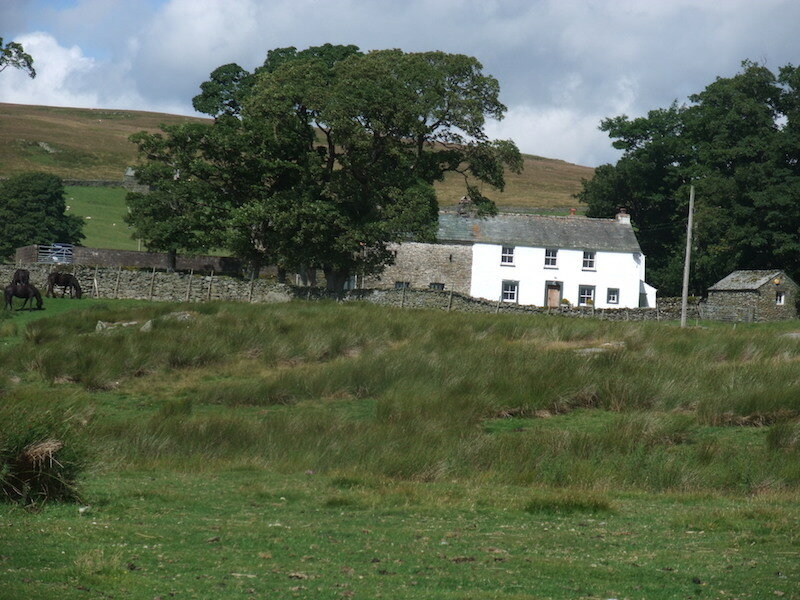 Here we are back at Moorahill Farm and the end of our walk. It turned out to be quite a nice afternoon after that cloudy start, although the wind persisted throughout the day and gave us a bit of a buffeting from time to time.